First of all, thanks for all your lovely comments recently and HELLO to some new folk! It’s so lovely to connect with so many like minded people through the magic of the internet, and although I may not reply to every comment I do read and appreciate every single one. So thank you! 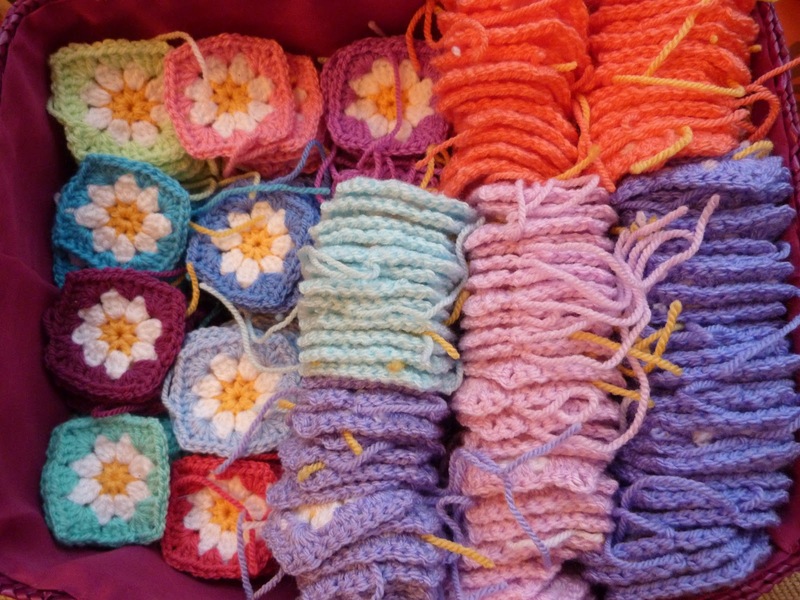 Now a bit of crochet news. 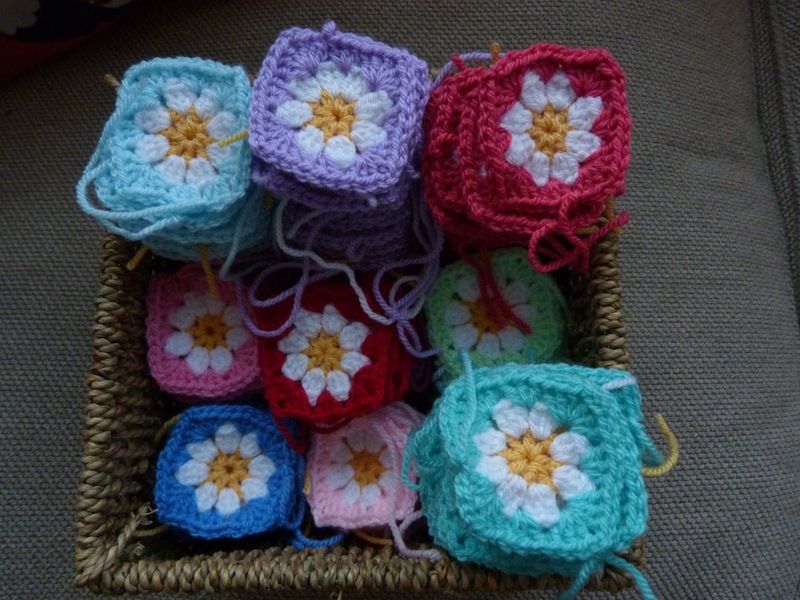 Remember these pretty little daisy granny squares……..
………….no…………..that’s because I showed you these way back in September! 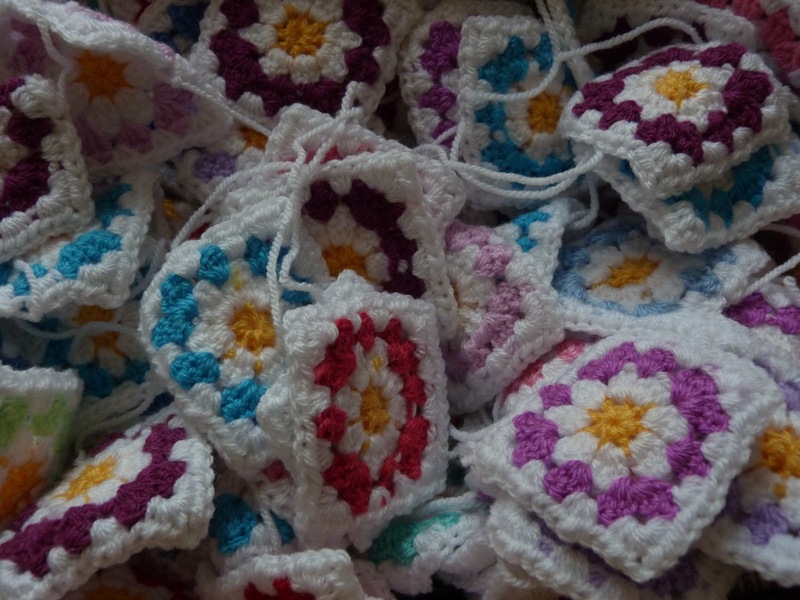 And that’s not it really cos I started these little lovelies waaay back in June last year. 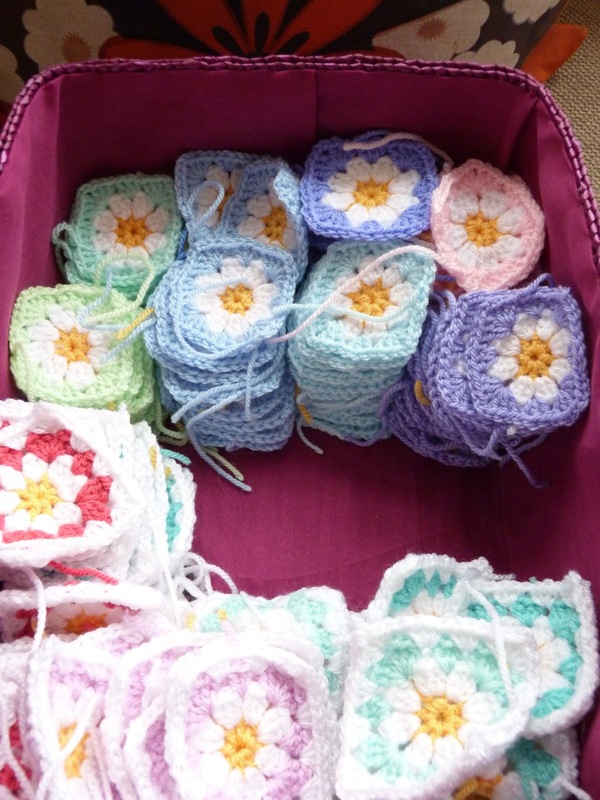 I’m using Stylecraft acrylic, lovely for a snuggly blanket. Only 18 colours, ha ha! Anyway progress has been slow, it’s a stressbusting project, picked up and put down when time and other projects allow. I’ve really enjoyed this blankets journey. 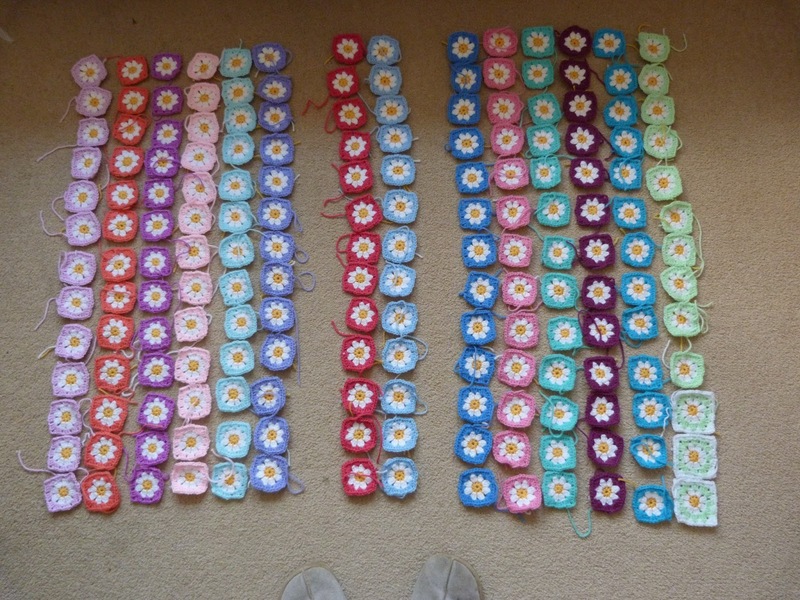 468 of them…………..yes that’s right 468! Next job to edge them all in white and guess what I’m nearly done! YOU can see the bottom of the basket. Aren’t there alot of them. I can’t wait to get them all joined together and edged. Just one thing nagging at me. 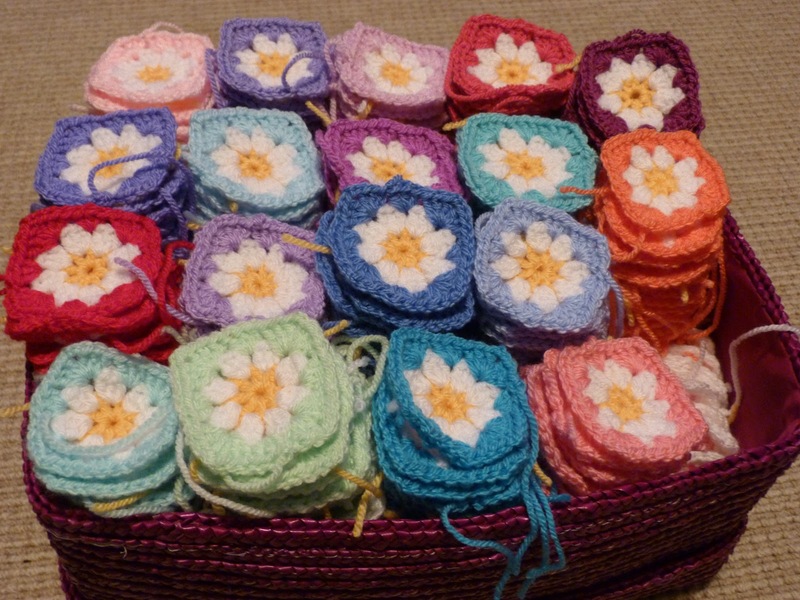 I have some new colours of Stylecraft yarn in my stash……. ……………………I am so tempted to add them to the pile, so tempted. 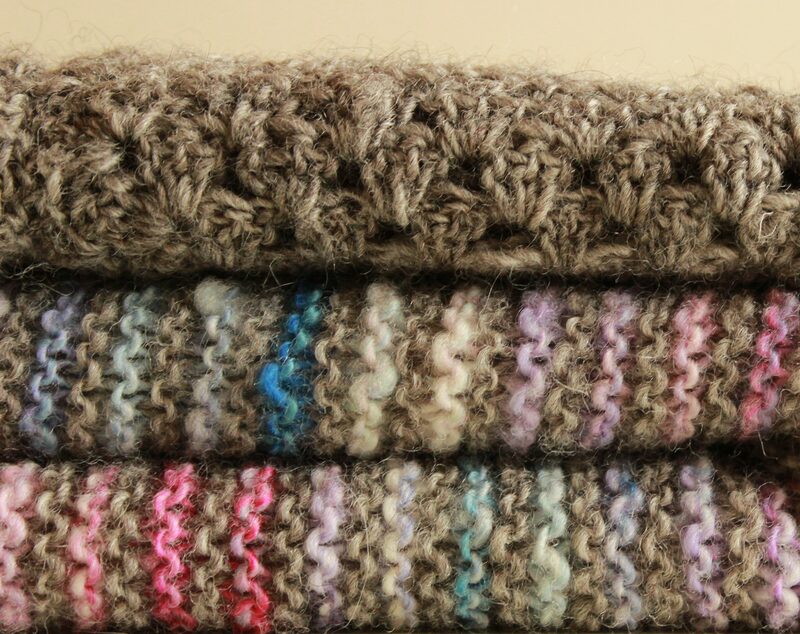 See the colours in my new header, it’s them, pretty colours aren’t they, would look good wouldn’t they. Will this turn into the longest project EVER! Not sure, what should I do? What would you do? Add more in or get on and finish it? Maybe I’ll lay them out and see what they look like. I know I’ll show you and you can decide for me! Oh I'm busy slaving away on it can't wait to see it myself! 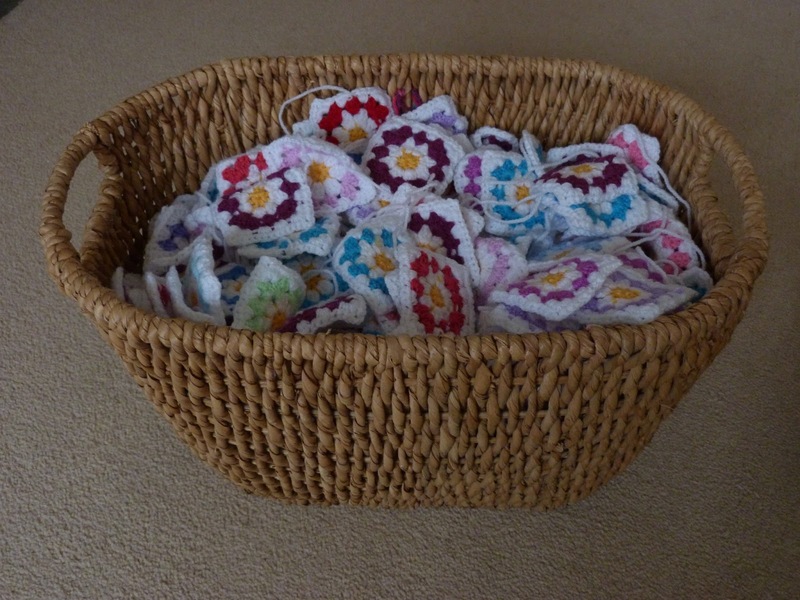 Love your patchwork on your blog by the way. So am I hope it turns out how I picture it in my head! You see I feel just the same, I've done this many……..a few more…..I'm thinking about it!